As I shared earlier this year, we are taking a break from selling dahlias in order to build up our mother stock of tubers and also to improve the process for our customers and our farm crew. Pushing pause was especially difficult when considering that the demand for dahlia tubers is so high. Since we first started offering them a few years ago we have consistently sold out in less than a day. Even after quadrupling our offerings last year, we still sold out in less than a day. Dahlia lovers are some of the most passionate and enthusiastic people we’ve ever met and dahlia mania is a real thing! We’re continuing to research and experiment with different ways to share these treasures with other flower lovers. Until we are able to offer dahlia tubers again, I wanted to provide our customers with a list of suppliers to source dahlia tubers in 2019. There are so many small specialty dahlia producers scattered across the country and many of the longest standing growers don’t have much of an online presence so they can be really hard to find. A great place to look for growers and find out when their tubers will be going on sale is dahliaaddict.com. This site lists dahlia names alphabetically and who sells them. There are 76 different suppliers listed on their site in the United States and an additional 13 in Canada, making it the most comprehensive source list on the internet to date. The site itself doesn’t include photos, but you can click the “google image search” just to the left of the variety name to see what it looks like. I’m an avid dahlia collector and our field includes over 500 varieties with another 150-200 new additions being added in 2019. I buy tubers from a lot of different places and thought I would share some of my top favorites for quality and unique offerings. Hands down, the best dahlia growers I’ve ever encountered are Calvin and Julie Cook from Arrowhead Dahlias in Colorado. 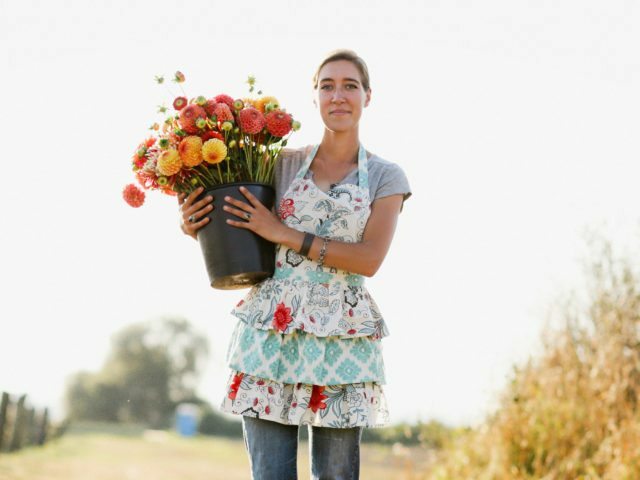 This husband and wife team grow more than 300 different varieties on their flower farm located on the eastern plains of Colorado, northeast of Denver. Calvin has been growing dahlias since he was a child and has honed decades of growing experience into offering a wonderful selection of super high quality dahlia tubers. Their shop opened on December 1st and a lot of the best varieties have already been snatched up, but some gems that are still available include Hercules, Castle Drive, Diva, Hamilton Lillian, Linda’s Baby, Lyn’s Brooke, Maarn, Miss Amara, Sheer Heaven, Cornel Bronze, Camano Buz, Hollyhill Black Beauty and Sweet Nathalie. Accent Dahlias here in Washington is one of my treasured sources for hard to find varieties as well as tried and true favorites. Owner Ken Greenway is a wealth of knowledge and is one of the most prolific dahlia breeders of our time. I have visited the Accent display gardens nearly every year and love working with Ken. His selection, tubers and service are outstanding. Ken primarily sells his own creations and some of my favorites are AC Angry Bird, AC Barney, AC Casper, AC FBG and AC Petalicious. He also stocks a few must haves including Hollyhill Cotton Candy and Mary’s Jomanda. 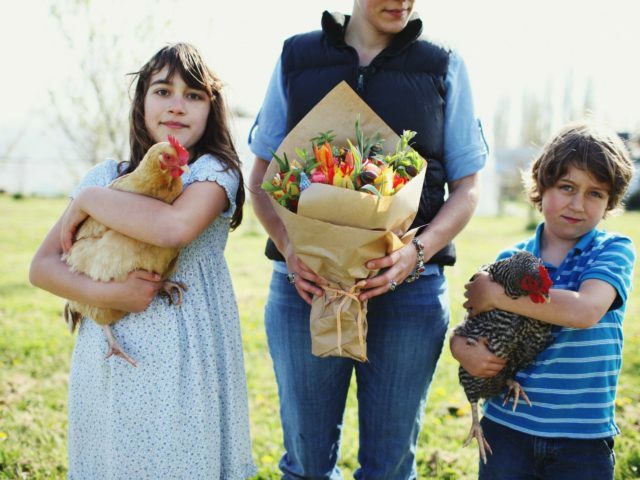 Bear Creek Farm is located in the Hudson River Valley and has taken the New York flower market by storm. In addition to offering an incredible selection of fresh cut blooms they have also started offering over 100 varieties of their tubers for sale. Owner Debra Kaye has a keen eye for color and her variety selection is unmatched. Some of my favorites that she offers are Break Out, Camano Zoe, Clearview Peachy, Ferncliff Copper, Hollyhill Orange Ice, KA’s Cloud, Papageno, Lakeview Peach Fuzz, Rosendale Peach, Sheer Heaven, Valley Tawny and Myrtle’s Brandy (hands down, the best). K Connell Dahlias is a great source for high quality, reasonably priced tubers! This Washington company has wonderful service, a nice selection and some of the most high quality tubers I’ve ever ordered and they always seem to tuck in a few extras. Some notable varieties that they have in stock are Tahoma Lizzie, Addison June, A la Mode, Chilson’s Pride, Jenny Marie, Tahoma April, Blyton Softer Gleam, Snoho Doris, Vista Minnie, Camano Zoe and Valley Porcupine. Swan Island Dahlias in Canby, Oregon offers one of the largest variety selections in the country. 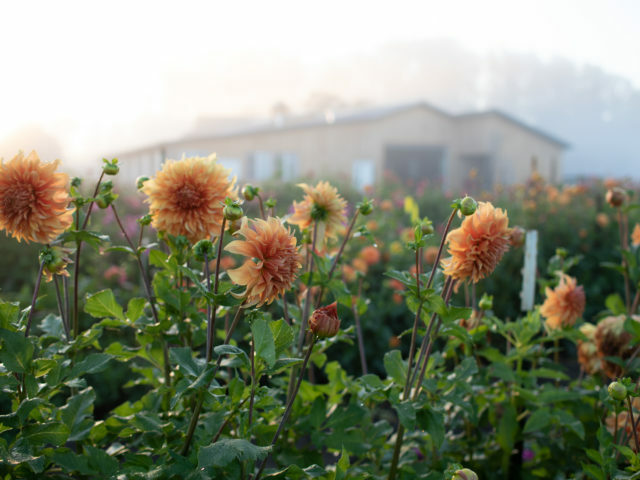 This family run operation has been in business for 91 years and is the largest and leading dahlia grower in the United States. In addition to offering the highest quality tubers on the market they also go above and beyond when it comes to customer service and satisfaction. They are a joy to work with and it’s no wonder why they have been in business so long. My list of favorites that they offer is a mile long, but they have some real gems worth noting. 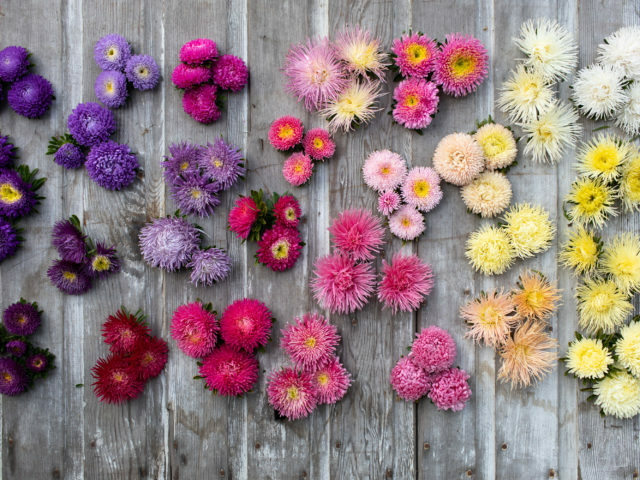 You’ll notice that these are more expensive compared to the main catalog, but are absolutely worth the investment if you’re looking for unique coloring for flower arranging: Chewy, Cupcake, Karmel Korn, Blah Blah Blah, Appleblossom, Sherwood’s Peach and Papageno. Summer Dreams Farm located in Michigan is fast becoming one of the largest dahlia growers in the country. Owner Michael Genovese offers an incredible selection of fresh flowers throughout the state during the growing season and tubers shipped nationally in the off season. His quality is fantastic, his prices are unbeatable and tubers are known to sell out fast, so sign up for his newsletter to make sure you don’t miss out. Some of my favorites that he offers are Cafe au Lait, Ferncliff Copper, Harvey Koop, Jowey Winnie, Linda’s Baby, Peaches n’ Cream, Sierra Glow, Snoho Doris, Sweet Nathalie and Wyn’s New Pastel. Birch Bay Dahlias located in Washington is my all time favorite place to discover new novelties. Be sure to check out the AN and OTHER tab to find all of the hard to find gems. Some of my favorites include Sandia Panama, Sandia Brocade, Sandia Pouffe, Platinum Blonde, Eileen C and Fancy Pants. Clearview Dahlias located here in Washington is an excellent source for beautiful and rare varieties and their quality is top notch. Owners Richard and Danielle Parshall are prolific breeders and have introduced so many treasures. Some of my favorites include Clearview Debbie, Clearview Lila, Clearview Peachy, Lakeview Blush, Lakeview Peach Fuzz, Skipley Lois Jean and Tall Firs Keltie. 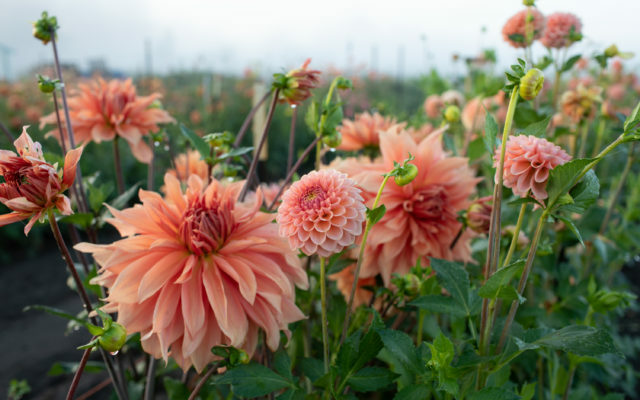 Our flower farming friends Triple Wren Farms up in Ferndale, Washington have recently added dahlia tubers to their offerings list. They have a great selection of varieties that are especially suited for cut flower growing, including some of my very favorites: Crichton Honey, Cornel Bronze, Gerrie Hoek, Jowey Frambo, Small World, Terracotta and Valley Rust Bucket. For international readers looking for dahlia tubers, we’ve compiled a short list of potential sources. But please note that, unlike the U.S. suppliers listed above, we do not have any firsthand experience ordering from these companies, so we cannot vouch for their quality or service. I know there is growing demand for dahlias tubers all over the world. If you have a recommended source that you love and trust, please share it in the comments below. Or, if you have a favorite variety that you think I should add to our collection, I’d love to hear about it! Dahlia haven is one source you could add to your New Zealand list. Love your site and your enthusiasum for all things flowers. Hi, I have a commercial cut flower farm in Ontario, Canada. For the first time we are making some of our tubers available for sale. Here is a link. https://www.thedahliaexpert.com/ Please take a look and share it around. We are able to ship to the US as well. You can also check out our cut flower site. If you don’t care about the color and just want to try them Outside Pride carries Pom Pom Dahlia seeds. They grow 36-48″tall. They grow readily and then you can pick your favorites at the end of the season to keep. I’d like to add Siskiyou Seeds to this great list! They just started offering organic dahlia tubers this year, over 20+ varieties. Another great source of dahlias on Vancouver Island is Warwick Dahlias. They are located in Black Creek just north of Courtenay.